Department of Teacher Education, University of Turku, FIN-20014 University of Turku, Finland. The subjective nature of loneliness poses challenges for valid and reliable assessment methods - what should we ask when we want to evaluate one´s loneliness? Therefore, this study aimed to compare loneliness assessed by different indicators: frequency of loneliness over the last year, number of good friends, satisfaction with existing social relationships, and the short version of the UCLA Loneliness Scale. These indicators were used to study the gender and age-related differences between lonely and non-lonely adults and as predictors for the self-reported consequences of loneliness. The sample consisted of 17,258 Finnish adults aged 30 to 60 years. 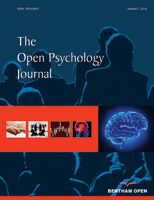 Based on our results, the number of good friends had less power as an indicator for the self-reported negative consequences of loneliness than did the other indicators (i.e., satisfaction with existing personal relationships and resultant [based on confirmatory factor analysis] social and emotional loneliness factors of the UCLA Loneliness Scale). The importance of identifying loneliness in the prevention of psychosocial and economic issues, substance abuse and eating disorders, and negative consequences on health is discussed. More broadly, based on our results, we find that there is a legitimate reason to consider loneliness as a form of social inequality.